Turkey has launched new artillery strikes on ISIS targets at Jarablus, northern Syria, amid reports Syrian rebels are to launch an offensive against the Islamist group. Some 1,500 Turkish-backed Syrian rebels are thought to be in Gaziantep waiting to attack. 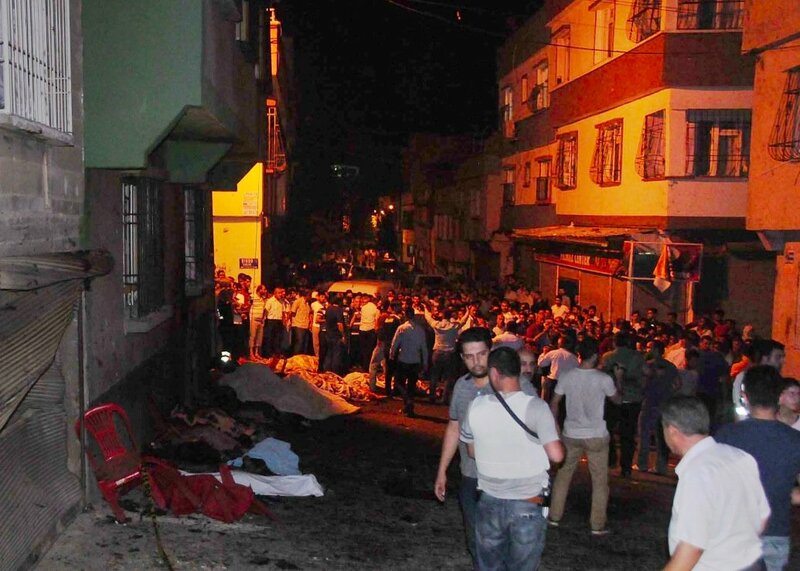 A bomb attack on a Kurdish wedding there killed 54 people on August 20. Turkey also shelled positions at Manbij held by Kurdish YPG fighters, who have been advancing against ISIS. According to new reports, the attack in Gaziantep, blamed on ISIS, may have been spurred by reports of the imminent Syrian rebel offensive. Meanwhile, more victims of the suicide attack are being identified. On August 23, Turkish artillery fired at least 40 shells at ISIS positions in the Jarablus area after two mortar bombs landed in the Turkish town of Karkamis, just across the border, Turkish media report. Nobody was hurt in the attack on Karkamis. Turkish Foreign Minister Mevlut Cavusoglu has said ISIS should be “completely cleansed” from northern Syria. On August 22, Turkey also shelled of ISIS positions but equally the bombardment of Kurdish YPG positions in the Manbij area. A Turkish official quoted by Reuters said artillery had fired on the Kurds 20 times. The YPG has been at the forefront of the recent advance against ISIS in northern Syria, leading the liberation of Manbij this month and driving the jihadists towards Jarablus. However, Turkey links them to its own Kurdish insurgents, the PKK, and is determined to keep them away from its border with Syria. The fighters poised to enter Syria from Gaziantep are believed to be Turkish-backed Syrian rebels. A senior rebel official quoted by Reuters said they were fighting under the banner of the Free Syrian Army. It is believed that any such operation would be aimed at frustrating any further advance by the Kurds. The Kurds themselves have non-Kurdish Syrian allies, fighting alongside the YPG under the banner of the Syrian Democratic Forces. The identity and motive of the suicide bomber who attacked the wedding party have yet to be revealed. Soon after the attack, President Recep Tayyip Erdogan said ISIS was the likely perpetrator but PM Binali Yildirim said on August 22 that investigators actually did “not have a clue”. The prime minister downplayed earlier reports that the attacker was a teenager, saying this could not be confirmed. What is known is that it was a Kurdish wedding and ISIS has targeted Turkish Kurds in the past. Many of the victims were children as young as 4-year-old. Sixty-six people are still in hospital, 14 of them in a serious condition, Turkey’s Dogan news agency reported.